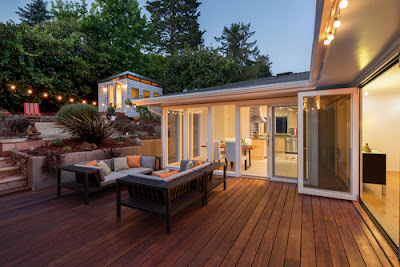 Wood decking is the most popular décor in many developed countries in Asia. 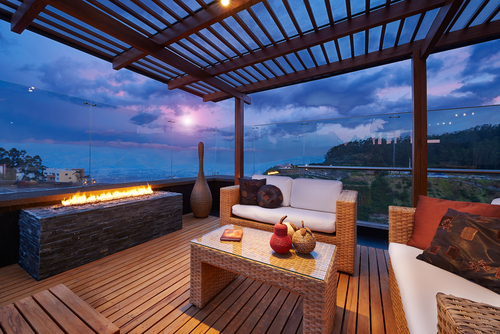 Many people are decorating their home balconies as well as patios with wooden decks now a days. But the main problem is many people do not know which material will be correct for their home or work place. It will always be better if a customer has good knowledge about the materials which have to be used so that they will be retained for long time. Not only that, the outdoor decking must also be enjoyable along with the nature. So decking must be focused. Chengal decking the most common deck which is used for outdoor deck. This not only gives deck a wood feeling but also a beautiful look. The main problem with this Chengal wood is that it is expensive. This Chengal wood trees are protected and with this the young chengal wood is much expensive when compared with the old chengal wood. The old Chengal wood will be treated with a process known as kiln drying process, where all the moisture in the wood is removed. So that it will become wood resistant. While in young Chengal wood, the moisture will not be removed and this will get damaged in long run. In few cases, even if the young chengal wood is processed, there will be high level of moisture in it. Old Chengal wood is always preferred to young chengal wood. In Chengal decking, the Chengal Wood have to be sanded and then the paint has to be applied. The applied paint will enhance the colour of the deck and will protect it from extreme climatic conditions. With this the maintenance cost of the deck will be high. This will result in cracks of the deck after few years. Balau Decks are also used for decking and this material is becoming really popular now a days. Even for Balau Decks, Kiln drying process have to be done same like in Chengal Decking. The best thing about Balau wood is that its color of this wood is really pleasant and striking when we compare it with Chengal wood. In Balau decks, some times there may be leakage of red colour from the wood as hey will be exposed to different climates. This will create colour fading when the decks are used in long run. Chengal wood is really durable wood which can be used for decks. There is a shortage of this timber now a days. Young chengal timber is not suggested as it has sapwood. With the presence of this sapwood, young chengal timber will not be durable. When the house owners are getting the decking work done with Chengal, they must be sure that the dealer has got the wood legally and then get the decking done. Chengal wood must be old Chengal so that it will be of best quality and will be sustaining for long time. Chengal wood has good density and the old chengal wood is dried and the moisture is removed. With this old chengal wood will be resisting to different climatic conditions. Balau wood, when compared to Chengal wood is less dense. 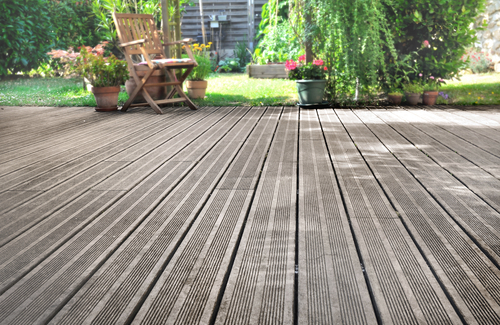 The Balau wood sometimes experiences cracking, so there may be cracks in Balau decking. In Balau timber, there is red balau which cannot be used on ground decking. This red Balau wood is less resistant to decay so it is not suggested for ground deck. The yellow Balau wood is durable as it has the capacity to resist Fungi. Chengal wood has been used from long time for decking and in many other parts of the house. The strength, resistance and durability are really good for the Chengal wood. The chengal wood which is installed must be matured or old chengal wood, else the decking will get rot within a couple of years after it is installed. When old chengal wood is used, its life span is long under the extreme climatic conditions. But the young Chenga wood will not be durable and makes Chengal Decking non-sdurable. The young Chengal wood is soft and is not wear and tear resistant. There are also huge amount of sugar content in the young Chengal woods which will help in growth of bacteria and this will accelerate rotting. The bacteria will also help the wood to get decayed easily. So for decking Young chengal wood must be avaoided. The Balau wood colour always varies as it has wide range of species. The colour of this Balau wood can be pale straw to dark reddish brown. It depends on the species. In Balau decking one can have wide range of colour options. This Balau wood has coarse grain texture which has medium as well as large pores. The grains of this wood are also interlocked sometimes. This Balau wood can be considered as non durable wood as it is not decay resistance and there may be insect attacks also. In Chengal wood, insect attacks are not suspected. Balau wood, has high density which makes the working process of the work hard. There is a small amount of silica present in this wood, due to which the cutting tools turn blunt. The person working with Balau wood or the people who are using decks made of balau wood must be careful, as this Balau Decking may cause allergies like eye and skin irritation. Balau is widely harvested and is available round the globe. So the price of this Balau decking price is moderate. But Chengal wood is really expensive and matured chengal wood is even more expensive, which in turn makes the Chengal decking expensive. Balau wood can be used for decking and also in other décor in the house. Even Chengal wood can also be used, but many people do not wish to as it is more expensive. Balau wood, is found in abundant and its properties vary from its species to species. The mechanical strength of the wood is also different. If a person is not looking for the price of the decking and is ready to invest more amounts on the decking, then on can select Changal decking. But they must be sure to conform if the wood is matured Chengal wood and is Kiln dried or not.